A few weeks ago I asked for suggestions for reproduction quilt blogs. Readers came up with many, particularly in Europe. I spent a lot of time scrolling; learned a lot, even if I couldn't always read the language. I now know how to enlarge a photo in html code and how to make a whoopee pie, a New England delicacy I didn't even know existed until last summer. 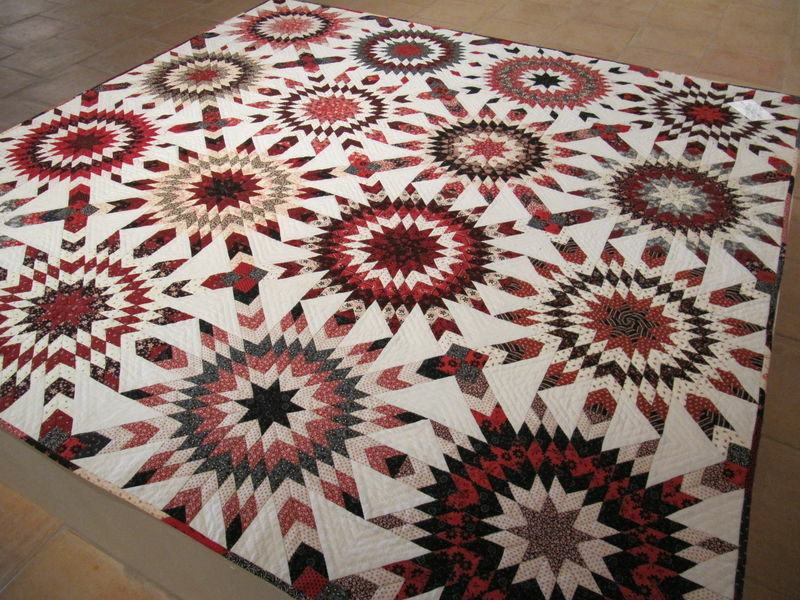 Deb's working on several series quilts including the Mary Mannakee quilt. 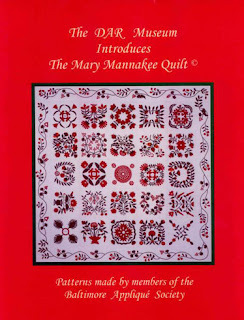 To see what the Mary Mannakee quilt looks like (it's a signed album quilt in the collection of the Museum of the Daughters of the American Revolution) do an images web search for the three words Mary Mannakee quilt. Everybody's doing it. Buy a pattern at the gift shop at the Museum of the Daughters of the American Revolution. 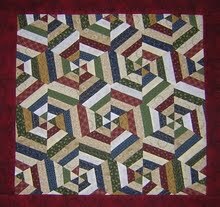 Vicki and Jan: "Quilt Buds Share a Blog"
Here's a gallery of her reproductions. 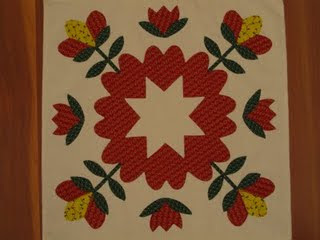 She's just finished the Bird of Paradise (Civil War Bride) quilt. This should keep me busy on a blustery day for some time. Thanks for putting my link on your blog!! great repro blog list!!! a few I didn't know about. Not that I can read but quilt pictures speak any language! Thank you so much for putting Vicki's and my blog on your list. Can't wait to look up some of the others you've mentioned. You've made my day, and it's my birthday, so that's a bonus. How can we get any sewing done when there's all this eye candy to look at!! 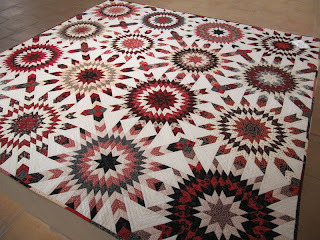 My blog is not devoted to just reproduction quilts as I tend to make whatever catches my eye. Great list of blogs which I will be visiting. I'm thrilled that you have listed my blog on your site. Thank you so much. And now some new sites to visit - so inspiring. Barbara, I am so glad that you called my blog, I love your books and they inspired me in the way of looking at quilts and old fabrics. Thank you for that! Her name is An Moonen.